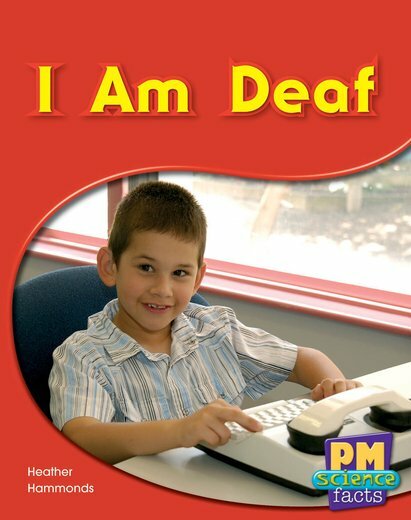 ‘I Am Deaf’ follows a boy who cannot hear though a day at school. The boy attends a school for deaf children and uses sign language. At home he shows the reader his special telephone and doorbell.